10. The Use of Aequorins to Record and Visualize Ca2+ Dynamics: From Subcellular Microdomains to Whole Organisms. Every cell of the body is dependent on calcium to function. Calcium is found in teeth and bones, and calcium signalling is necessary for the movement of muscles and for the action of the heart and the intestines as well as blood coagulation. 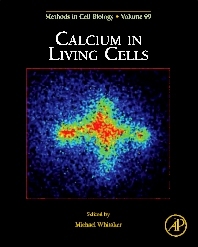 Calcium in Living Cells will update classic techniques in detecting microscopic levels of calcium ions (Ca2+) in living cells, as well as address new techniques in the field of calcium detection and calcium signaling. Such detection and measurement of intracellular calcium is important to researchers studying the heart, musculoskeletal, gastrointestinal, and immune systems, whose findings will aid in the advancement of drug and genomic therapies to treat heart, gastrointestinal, autoimmune, and infectious diseases.